Chicken cutlet, cheese, eggs, bacon, hot sauce….what else do ya need? Louisiana Joe’s is not currently affiliated with any delivery service companies. Food safety is our top priority and we cannot be held responsible for the handling of food once it leaves our premise. We thank you for your patronage and love feeding you! 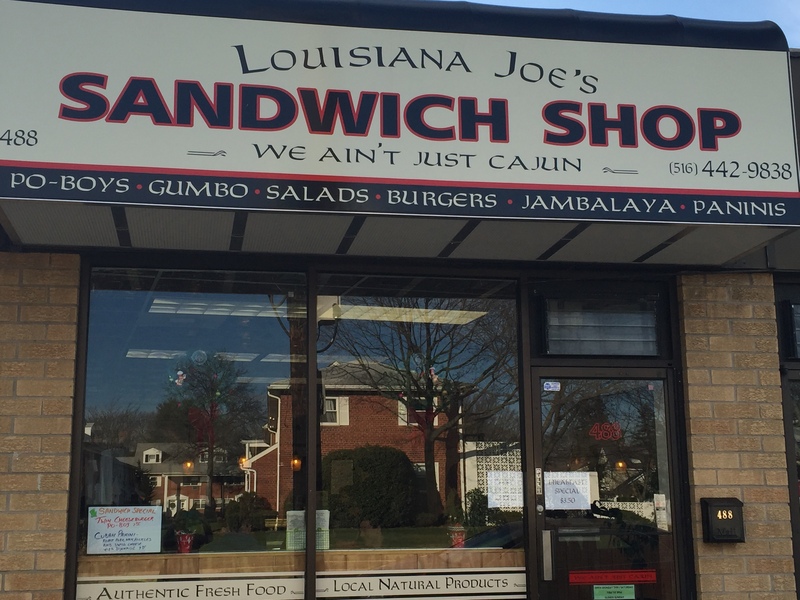 Louisiana Joe’s is the brain child of partners Joe LoSchiavo and Terri Hanna. This fun, casual eatery, inspired by the great city of New Orleans, serves up traditional Po-boys, Gumbos, Jambalaya and so much more. With over 30 years of restaurant experience each, these restaranteurs wanted to create an authentic New Orleans experience through fun, music and of course, the food with a farm to table, made to order mentality. If you get the chance to stop by the shop, and we hope you do….peak through the kitchen window and say hello to Joe and Terri. They are not only the owners, but the chefs as well and they’re in the kitchen everyday preparing every plate. Hours: 7am-3pm Mon thru Sat.